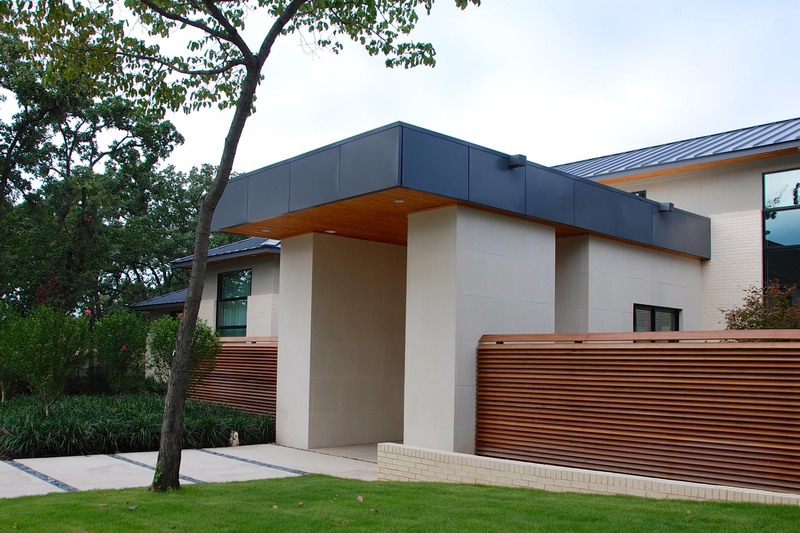 Developing a clean line minimalistic gallery garden for this Southlake estate. 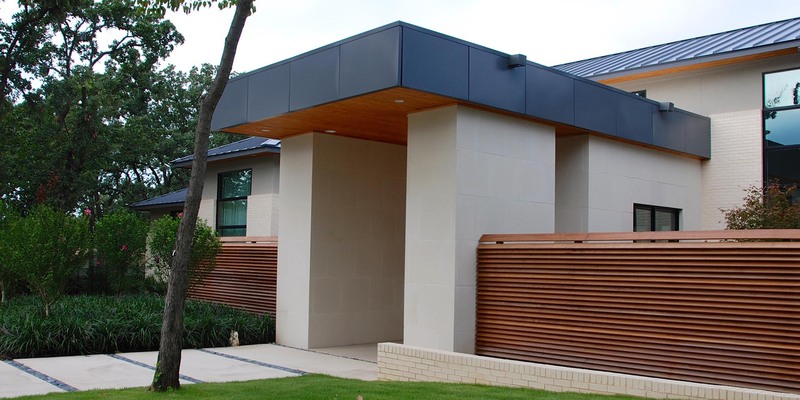 We designed a semi private entry to the home and interior courtyards with modern horizontal custom panels. 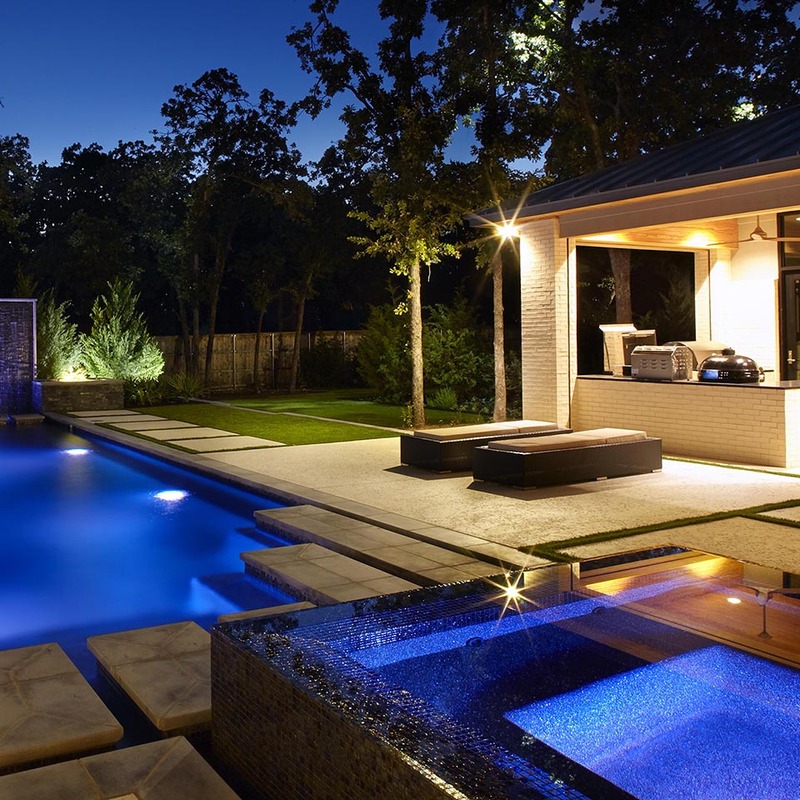 The back main courtyard is framed by a luxurious outdoor kitchen, veranda dining area and detached guest house with private gym. 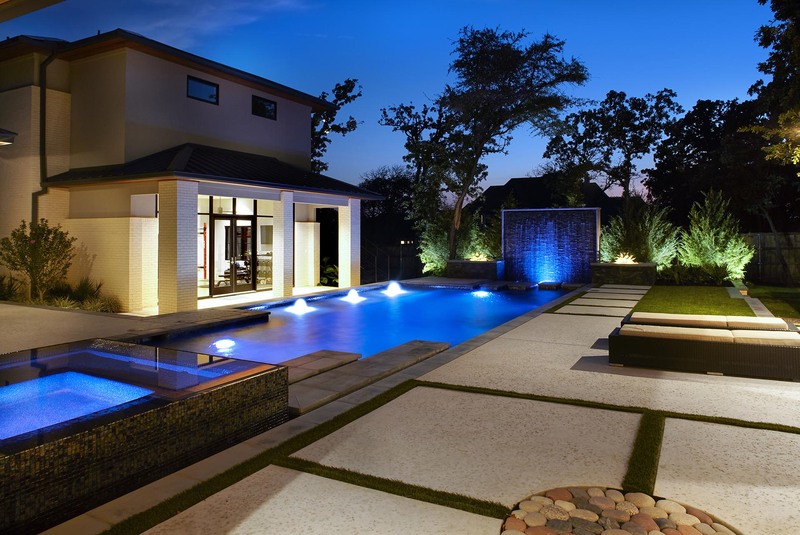 The contemporary pool was designed with a black staggered stone monolith water wall backdrop. 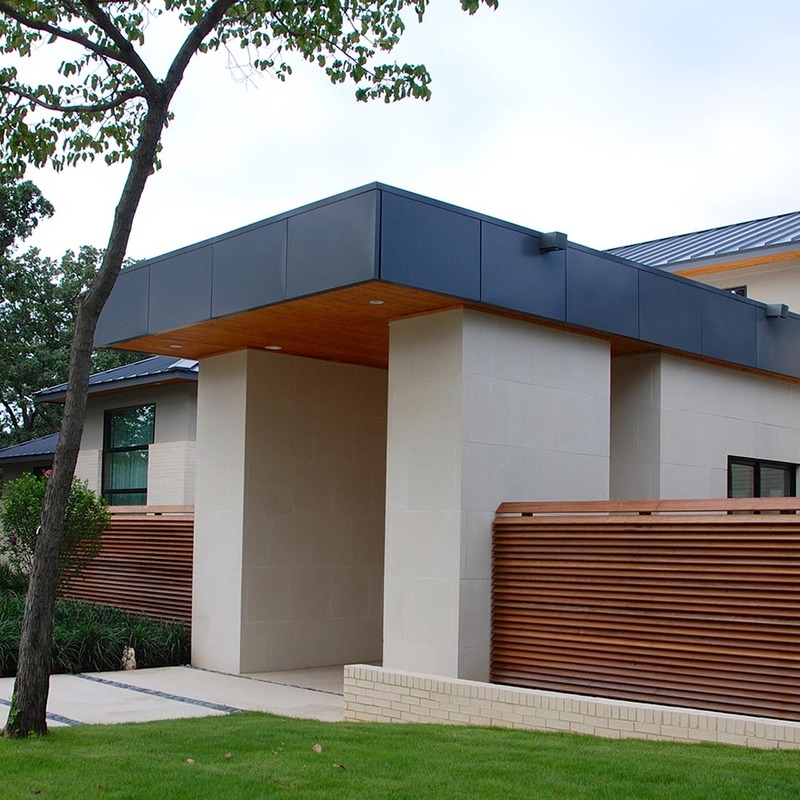 An elevated spa with an inverted clean edge tile perimeter anchors the veranda off the home. 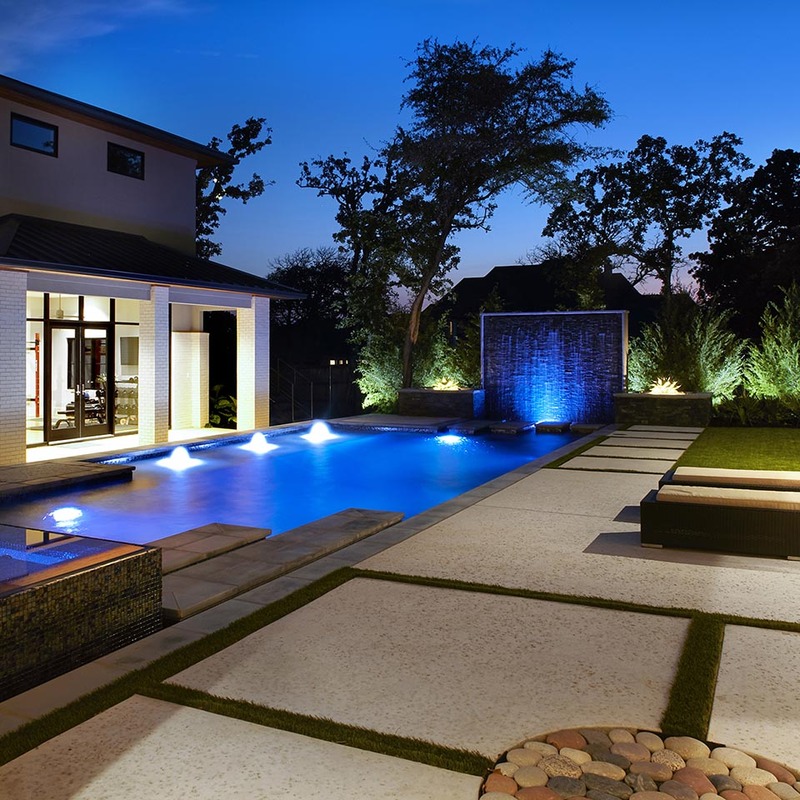 The pool is positioned within a park like grouping of Evergreens and geometrically shaped Zoysia lawn areas. 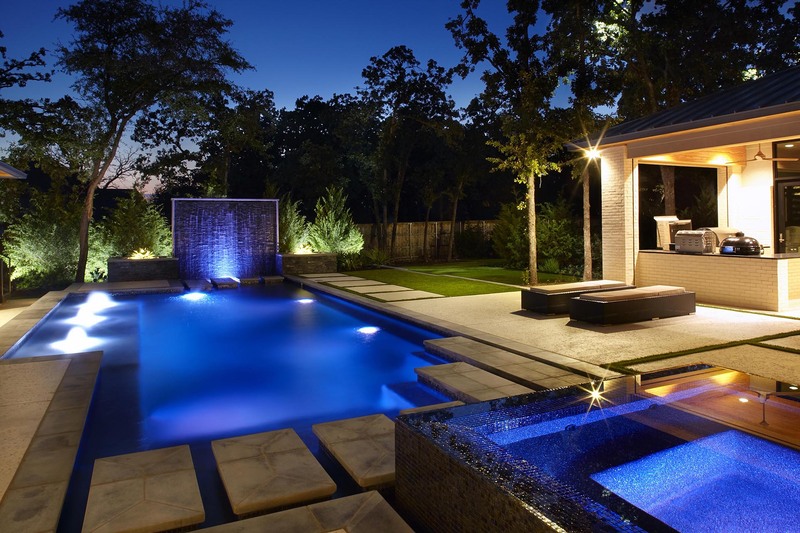 Special lighting effects include aquatic mood lights for the pool and LED accent and moon lighting for the grounds beyond the home.